These are must-haves that I recommend all bloggers use. 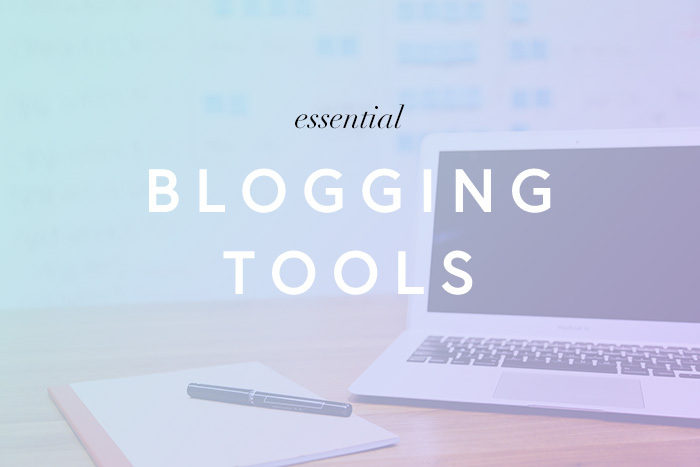 None of the tools below are superfluous and should be part of the minimum investment you put in your blog. Bluehost is by far the easiest way to get your website hosted, plus you get a free domain when signing up. It’s the most popular host out there for a reason, and the prices start at under $3 a month. If you’re starting your first blog, Bluehost is my recommendation. Read my step-by-step guide on starting your blog using Bluehost. Self-hosted WordPress is essential if want your blog to be more than a hobby. WordPress might look intimidating at first, but it’s very easy to use once you get used to the platform. If you’re using Blogger or any other platform, read my article on why switching to WordPress.org might be a better option. Photoshop is a must, and signing up with Abobe Cloud lets you use it for only $9.99 a month. There are several plans available, plus Adobe has a great collection of stock photos. I’ve tried free alternatives to Photoshop and they’ve all been disappointing. I use Photoshop alllll the time to edit my blog photography, to create graphics for my blog and social media, and to make pins for Pinterest. Building an email list is essential to the growth of your blog. Mailchimp is what I used to collect email subscribers when I first started blogging, and it’s totally free for up to 2,000 users that sign up for your mailing list.